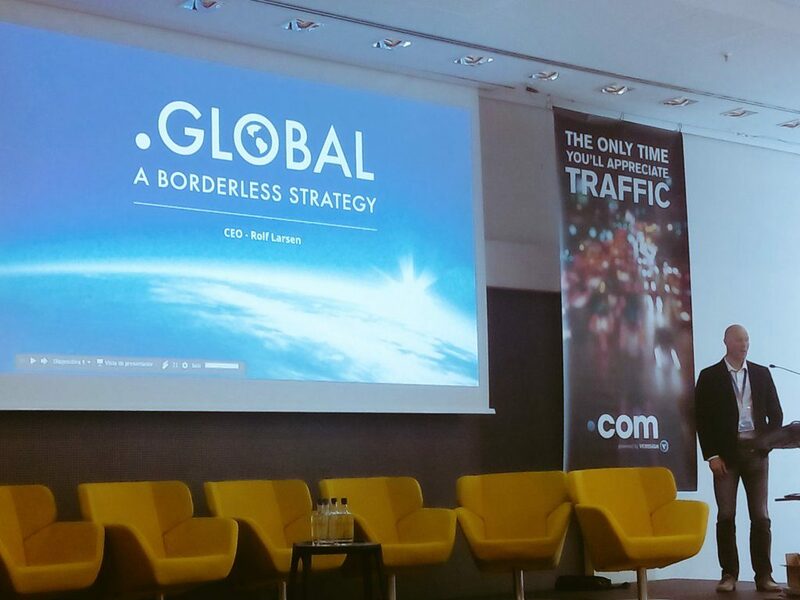 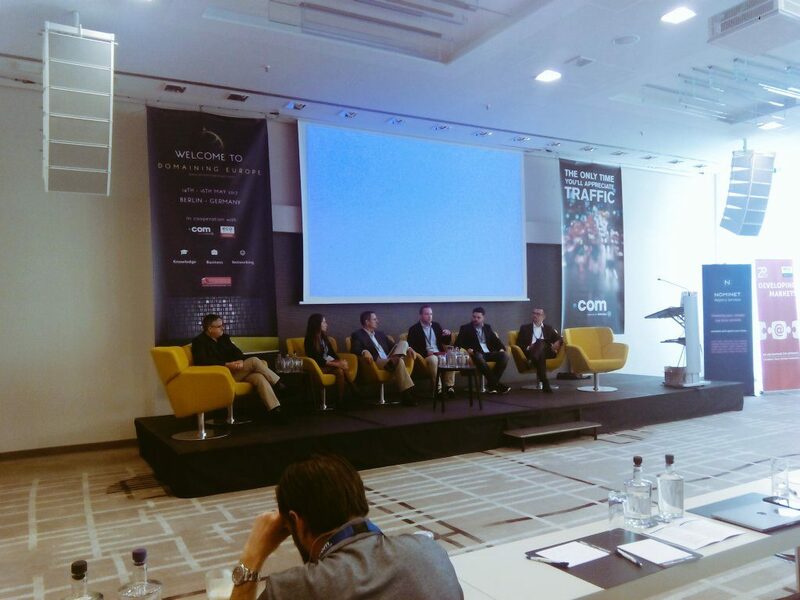 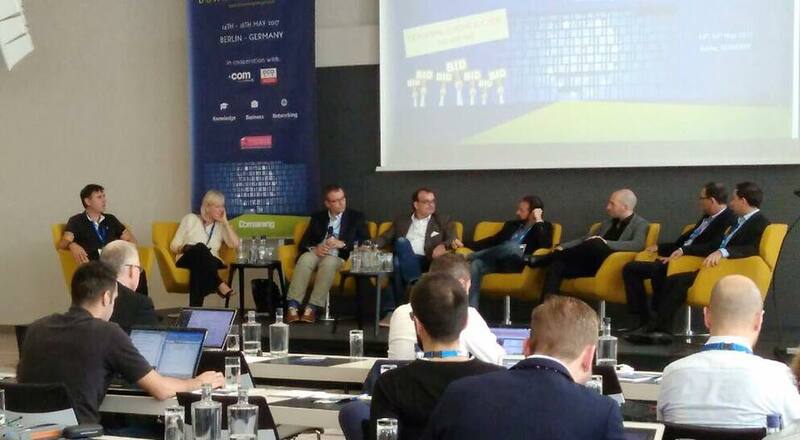 Domaining Europe 2017 has started in Berlin, Germany. 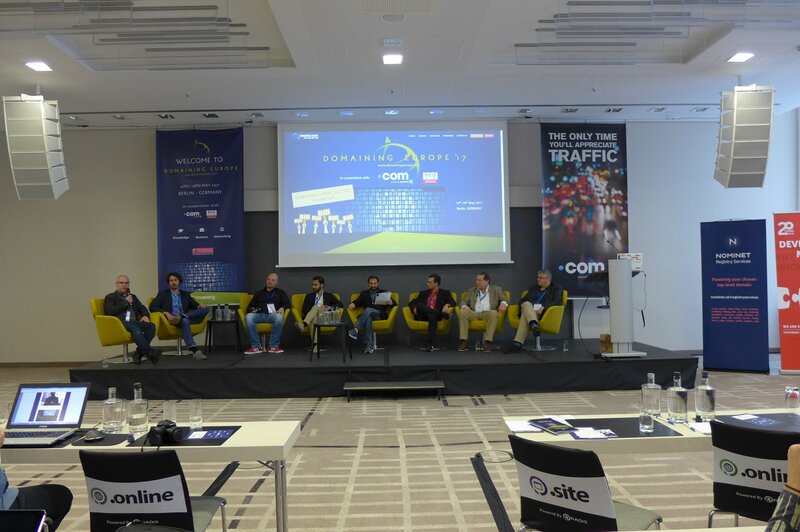 Domaining Europe 2017, the 9th Domaining Europe Conference, is taking place from the 14th to the 16th of May. The event venue is the Steigenberger Hotel Am Kanzleramt in Berlin, Germany. 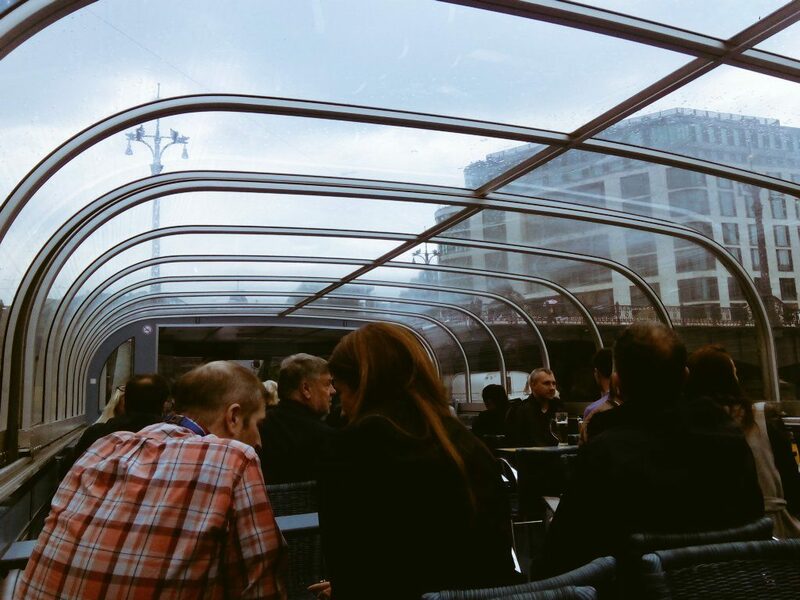 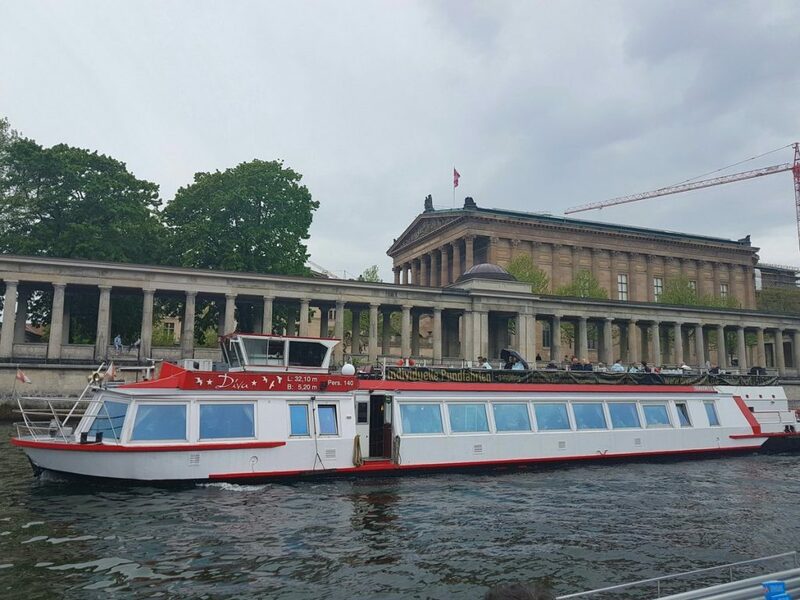 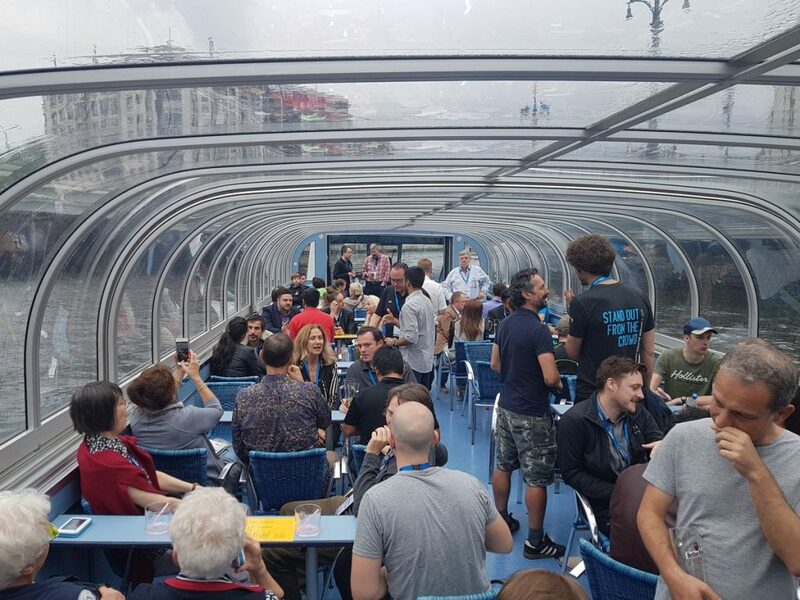 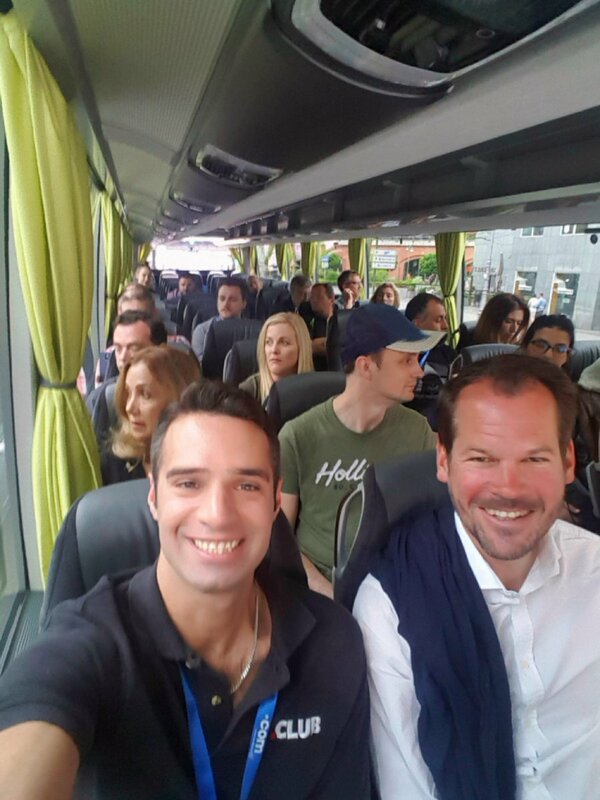 Dietmar Stefitz, the Domaining Europe founder and event organizer, welcomed the attendees with a sightseeing bus and boat trip around Berlin on Sunday. 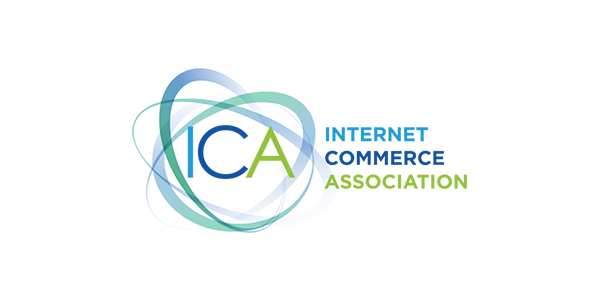 This time around there is some limited exhibition space available for the show’s sponsors. 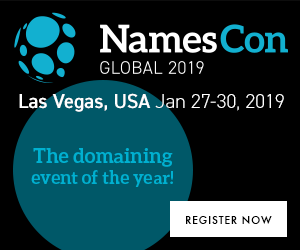 These are the current sponsors that are present at the exhibition space in the Foyer: Godaddy, SEDO, ParkingCrew, Nominet, Protected Parking, LegalBrandMarketing. Braden Pollock is again the Moderator of Domaining Europe 2017 along with Jothan Frakes. 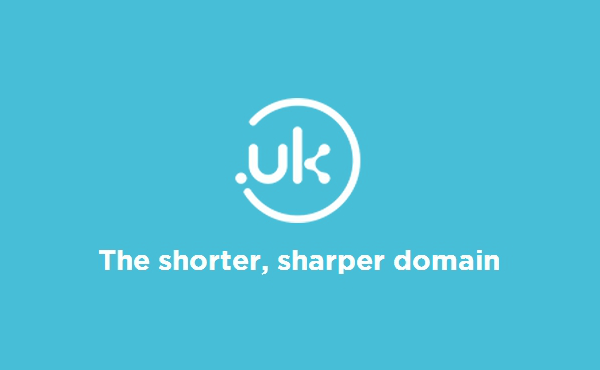 The most influential Domainers and Brokers will give you a perspective of the market today. 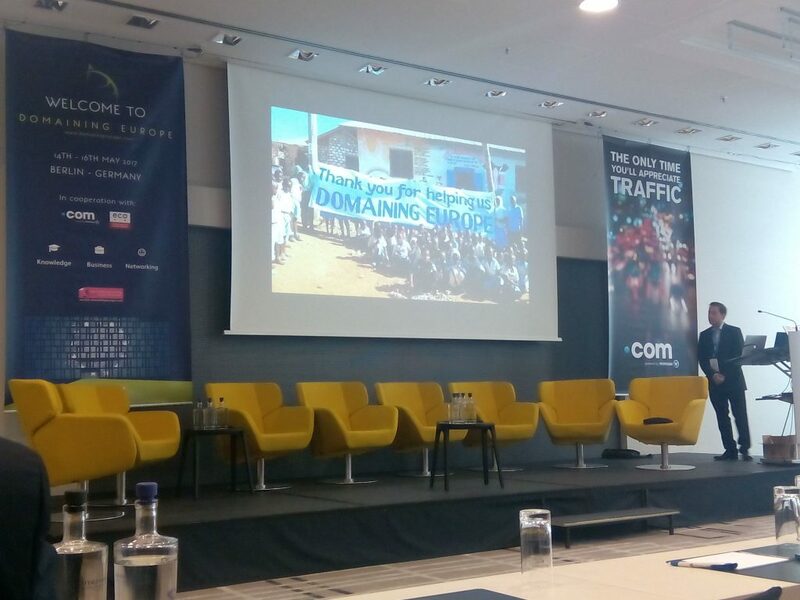 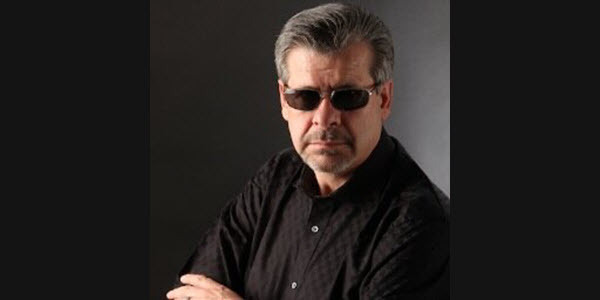 The SEO and Digital Marketing expert Ramon Rautenstrauch gives us the latest tendencies. 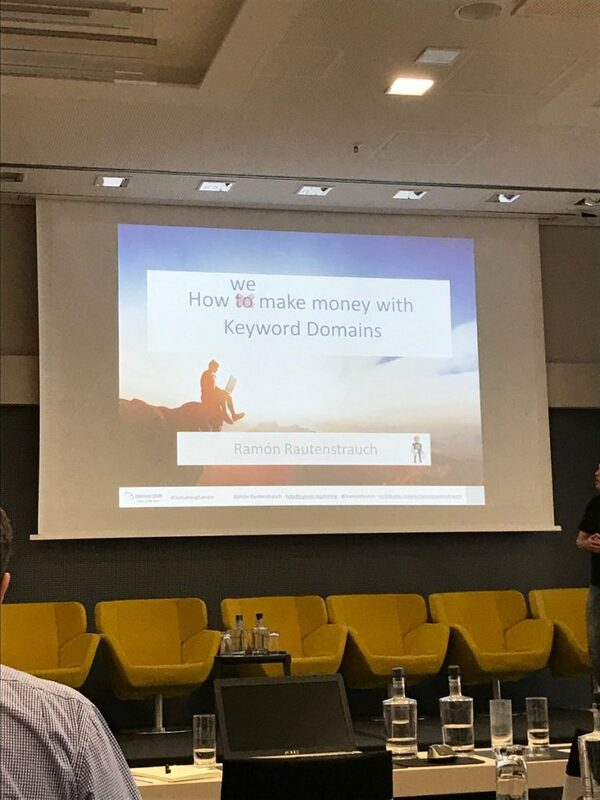 To see the presentation of How to Make Money with Keyword Domains from Ramon Rautenstrauch you can go here. 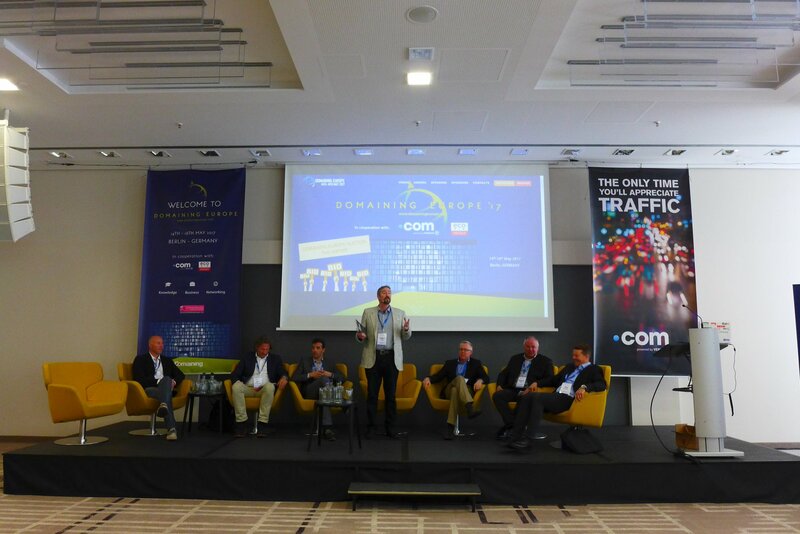 All Top Parking companies in one place. 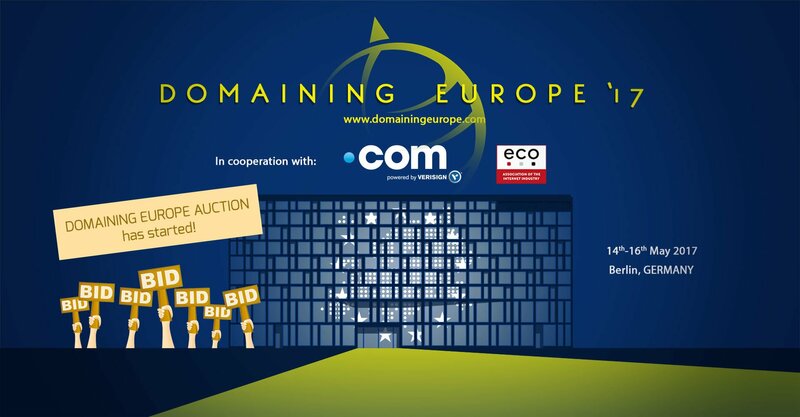 The Domaining Europe and Undeveloped.com domain name auction is already running and ends on the 26th of May. 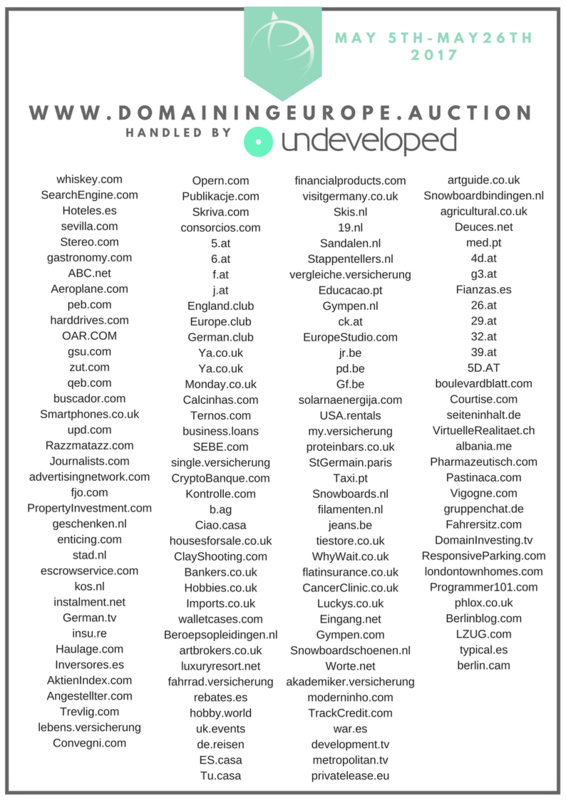 You can see the complete list of 143 domains here. 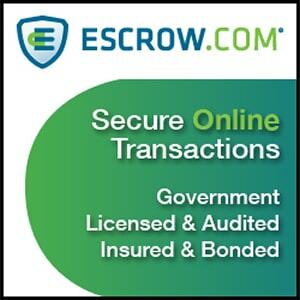 Many of the lots can be paid in 12 installments. 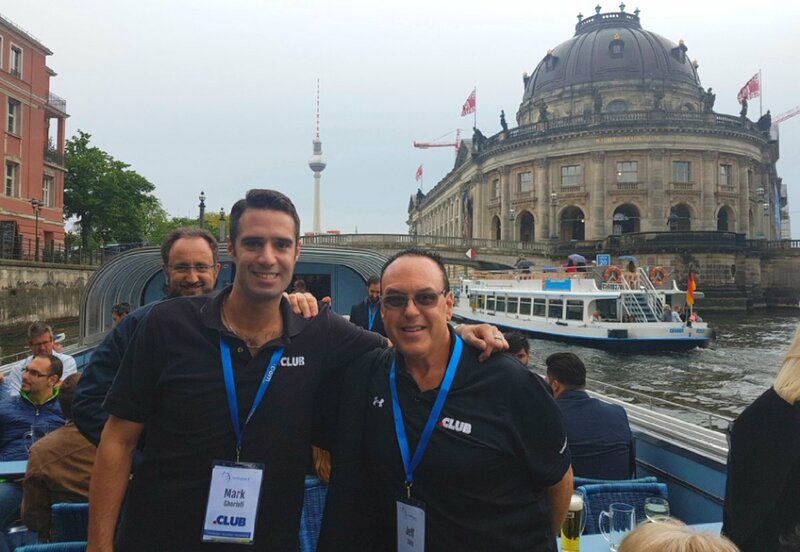 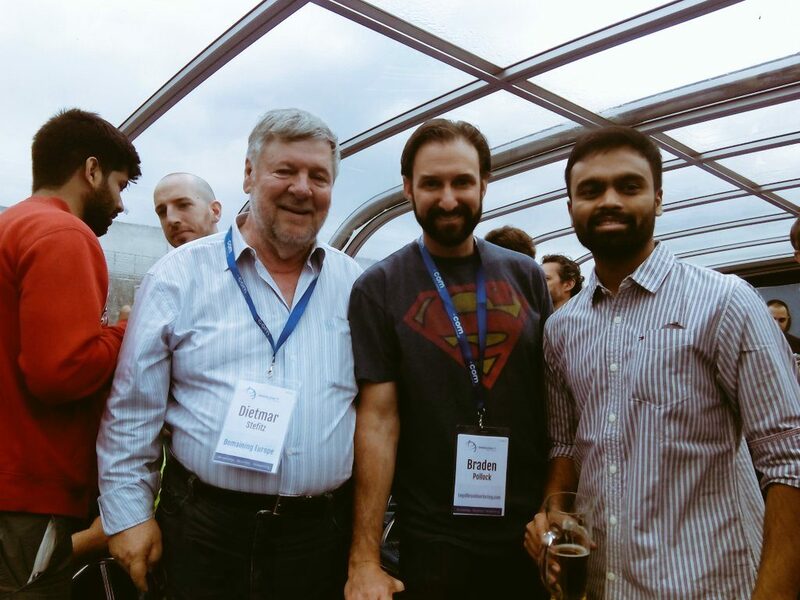 Domaining Europe in Berlin, Germany – Day 3 (photos) – See you in Rome?